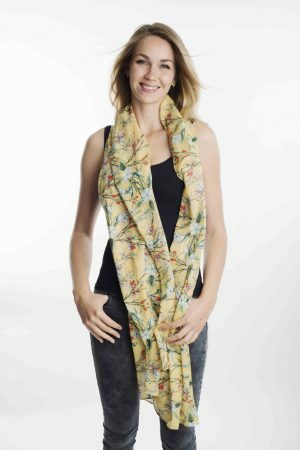 Decorated with a mixture of vibrant musical instruments our exquisite print captures the fun and excitement of summer concerts quintessentially Country Gardens. 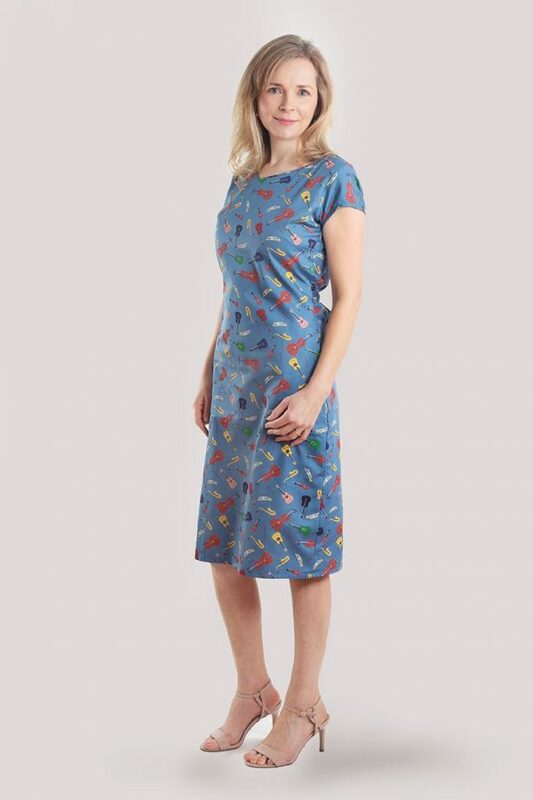 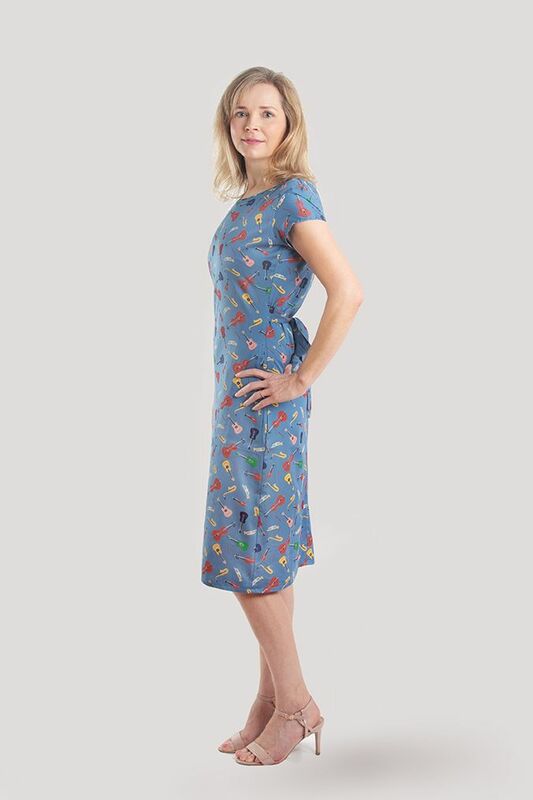 Designed to accentuate this fluid style dress falls just below the knee and has a self-fabric tie. 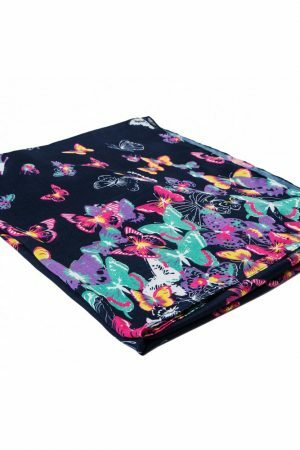 We know how important comfort is so we have used our finest blueberry lawn cotton, simply one of the best in the world, for the dress and inner lining. 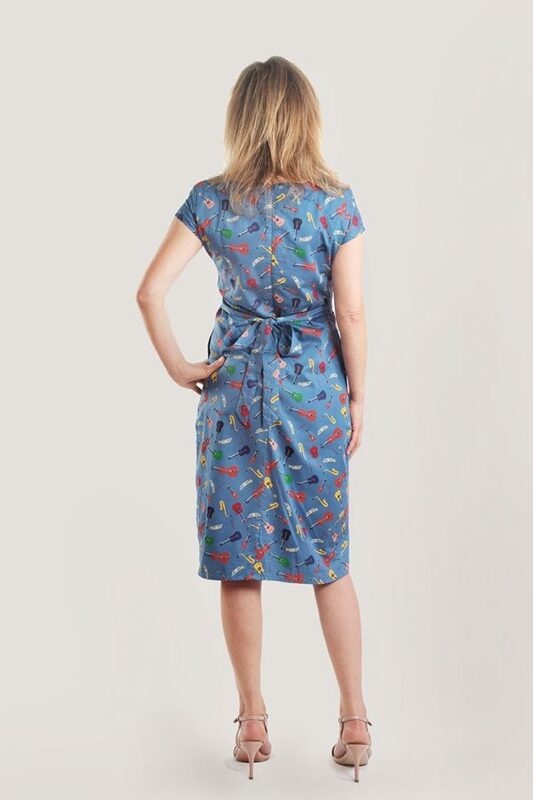 This chic dress falls just below the knee with piping around the neckline, placket over the zip and hidden side pockets. To finish the look team with strappy sandals.